JUNEAU - At the start of the year, Amazon shoppers in Juneau started noticing a new charge on their purchases — city sales tax. After the company made some changes, the majority of Amazon purchases made by Juneau customers will now collect local sales tax. That doesn’t apply to third-party vendors or any other online retailers. Now a plan is in the works to expand sales tax collection for all online retailers across the state. Joshua Smith is a frequent Amazon customer. Since moving to Juneau from Seattle, he said he’s become pretty reliant on it. “One definite benefit to using Amazon for the four years that I’ve lived in Alaska was the fact that, you know, I didn’t have to pay tax, and I looked at that as basically a perk to living in Alaska,” Smith said. 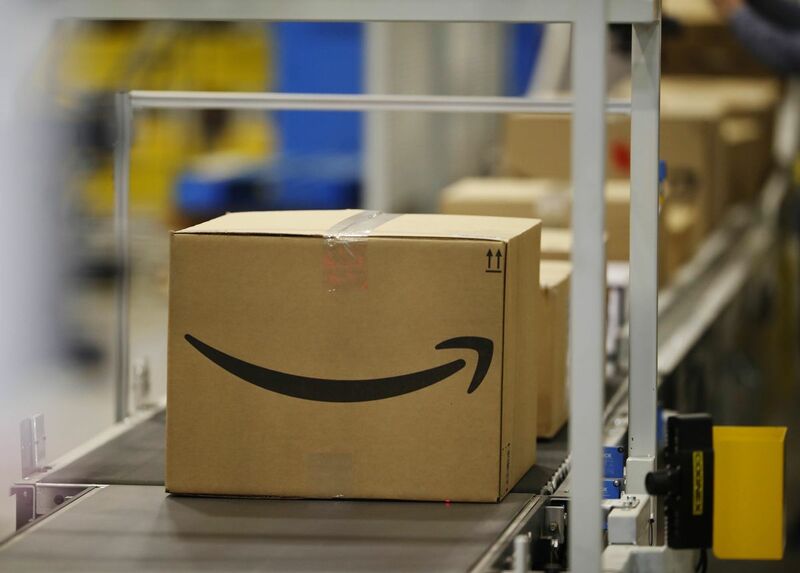 Amazon collects sales tax in states that have it, but Alaska doesn’t have a statewide sales tax. Instead, municipalities can set their own. Juneau’s sales tax rate is 5 percent. Before Jan. 1, Amazon charged local sales tax on just a small portion of purchases made in Juneau. The company did not respond to requests for comment about what exactly led to the change. Smith said he’d never noticed sales tax charges from Amazon before. But earlier this month, it started showing up on his receipts. He’s not happy to be paying more for the same products, but he said he doesn’t expect it to impact his customer loyalty much. For local business owners who compete with Amazon and other online retailers, it’s a welcome change. City Finance Director Bob Bartholomew said collecting local sales tax from online shopping is a matter of fairness, for one thing. “Our sales tax being applied to local business but not online businesses is just a disparity, and if we have an opportunity to correct it, from my perspective, from a policy perspective, that’s the right thing to do,” Bartholomew said. But it’s also about the bottom line. He said based on his rough estimates, Juneau loses out on between $2.5 million and $3 million annually in sales tax revenue from online purchases. That’s why he’s eager to see progress on a plan to standardize sales tax collection across the state. The Alaska Municipal League has been spearheading that effort since last summer, when the U.S. Supreme Court ruled in South Dakota v. Wayfair, Inc. that states can now charge sales tax on purchases from out-of-state online retailers. “If we look at the Wayfair case, it basically says that a single level statewide administration needs to occur, so that instead of 100 taxing jurisdictions that Amazon has to deal with, there’s a single point of contact,” said Nils Andreassen, the group’s executive director. That’s right: Alaska has 100 separate municipal sales tax jurisdictions. So far, nine of them have contributed money to the Alaska Municipal League’s project, including Juneau, which put up $12,000 toward the effort. It will be at least a year before the organization has a proposal. Then they will have to get the municipalities on board. Bartholomew pointed out that on top of different tax rates, each community also has different exemptions and caps on what they tax. The Juneau Assembly and other governing bodies will have to decide whether to adopt the final proposal, whatever that looks like. This article originally appeared at KTOO.org and is republished here with permission.